Small and stylish the FIBARO sensor comes in a range of colours to suit your décor. 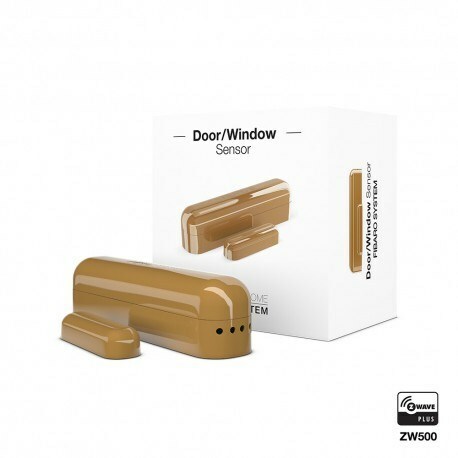 The sensor monitors the opening and closing of doors, windows and garage doors so can be used in automatic light control, access control and used as part of a z-wave alarm system. The Fibaro Door/Window Sensor is an extremely versatile device that is primarily used on windows and doors to detect status (open/close). It will detect whenever there is movement and report it back to the home controller. In addition the device can measure temperature (optional sensor required) and receive inputs from any external binary sensor (optional). Comes in a range of colours so the sensor seamlessly blends into your room's existing colour scheme. Note - requires optional sensor. 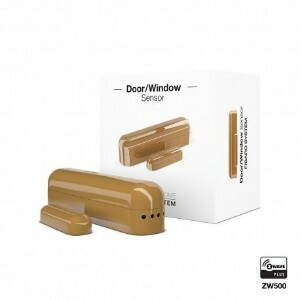 The Fibaro Door/Window sensor is easily fitted to any surface using double-sided tape. It's battery operated, requires no extra wiring and even tells you when the battery needs replacing.